Here at Oreo and Friends, we’re lucky enough to be in a position to be able to help a lot of people with the work we do, and we like to take advantage of that – whether we’re getting stuck in with fundraising, or simply allowing our critters to brighten the days of vulnerable people through animal therapy. We’d like to use this page to showcase causes that Oreo himself is very passionate about. He’s such a generous raccoon! These are the charities that we’ve selected as ‘Oreo’s causes’ for this year! We’ve been visiting Bluebell Wood Children’s Hospice for a few years now. This is a fantastic charity in our local area that is very close to our hearts! Bluebell Wood offers the best care to children with shortened life expectancies, and supports their families too. If you’re interested in donating to Bluebell Wood, you can follow this link here! You’ve probably heard of Combat Stress, and what an important cause this is! These guys are dedicated to providing treatment and support to ex-service men and women of all ages that are suffering from psychological wounds, and to helping their families too. You can follow this link to donate! Next is a fantastic non-profit organisation supporting wildlife in the Sussex, Surrey and Kent area. Working with local rescue centres, they rescue, rehabilitate and release all manner of native species, from squirrels right up to deer! If you’re interested in helping them out, feel free to follow this link here! 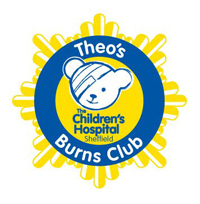 Finally, we’d like to support Theo’s Burns Club, who are there to help children who have been injured by burns. They organise social events and special activities, and provide expert support to help these children deal with their intense and painful treatment as well as the impact their injuries may have on their lives. If you’d like to donate, please follow this link! Thank you very much to Help for Heroes' Tedworth House for the use of these photos after our visit!